The more accurately geoscientists and engineers interpret, model, and drill the subsurface, the more successful an E&P company is. But only working together can exploration and development teams create the most accurate subsurface representation to drive success for the asset. Landmark’s comprehensive Geoscience Solution is engineered to share geoscience and engineering data and subsurface understanding for faster, more accurate decisions. Collaborative geologic, geophysical, and earth modeling capabilities combine to create a single asset model that can be leveraged for all aspects of exploitation, from reservoir analysis to well planning and more. Landmark’s Geology Solution provides E&P companies with the right information -- and the right analysis – to correctly understand key geological factors for successful discoveries and development. 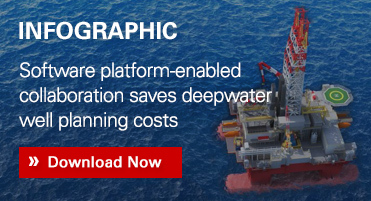 A comprehensive geological workflow integrates exploration data and insights, petroleum systems modeling, geologic interpretation, structural modeling, and even horizontal well geo-steering capabilities, for insight you can use throughout the asset lifecycle. Maximize the value of your seismic data with Landmark’s end to end Geophysics Solution. From data processing through interpretation to framework building, this single solution gives you the most accurate and comprehensive understanding of reservoir performance through every phase of exploitation. With seismic attributes and prestack analysis, velocity modeling, and dynamic depth conversion, Landmark’s integrated workflow provides geophysicists and geologists with critical collaborative capabilities that yield better geological insights and improve success rates. Landmark’s Earth Modeling Solution is an intuitive and flexible approach to understanding reservoir potential and uncertainty, integrating upstream G&G data to create a static 3D earth model that can be leveraged for a range of critical downstream activities such as flow or basin simulation, well planning, stimulation, and risk analysis. Capable of accurately modeling integrated data for any type reservoir, Landmark’s Earth Modeling Solution ensures you’re well-equipped to make key asset decisions, from well planning and production to reserve estimates. Webinars Are Your Permian Assets Reaching their Full Technical Potential?